It’s 2019 and there are a lot of ways, some being creative, to make money online. This is one of those methods. I’m going to show you how you can make a profit with Fortnite accounts. I’m also going to show you where to buy Fortnite accounts and where to sell Fortnite accounts. Everything you need to make money will be laid out in this article for you. Nothing in life is free and neither is this method so prepare to invest. You won’t be investing much though, $1-$5 per Fortnite account at most. The amount of Fortnite accounts you purchase depends on you and how much money you want to make. The more accounts you sell, the more money you get. Keep in mind that the accounts you’ll be purchasing are cracked and have risks attached to them. You won’t know if or what skins they have. You won’t know if the owner is active or inactive. You may get an account with or without vBucks. There’s just no telling what you’ll get. But there is a good chance for you to get your hands on rare accounts. If not, sell them off cheap. The seller sells Fortnite accounts cheap enough for you to be able to profit 50%-70% on them. 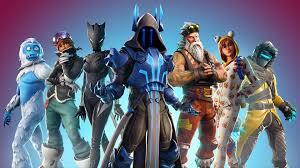 Fortnite is one of the most popular games in the world right now and many players spend money on skins and other ingame items. The skins have a value approximately between 800 vBucks and 2000 vbucks, with the value of vBucks currently being $10 per every 1,000 vBucks. Certain skins have a higher value due to its rarity. You will be attempting to purchase accounts with rare and popular skins attached to them. Once you purchase your account, check what you have. If you find that you have an account with a rare skin, or tons of vBucks, sell it for no less than $25. Instinctively, you’ll want to sell it for more because you know it’s worth a pretty penny. Unless you know for sure that you’ll be getting a buyer right away, don’t bother selling it for more than the suggested price of $25. You’ll be sitting on it longer than necessary and you’ll be making a profit no matter what. Don’t get greedy. You’ll be selling your accounts on Playerauctions.com. Create an account there and fill out your profile, make sure it looks complete and professional. To make you seem more legitimate, go to the Rewards & Favours section of HackForums.net and ask for people to leave you positive feedback on your Player Auctions profile. This will help you get buyers quickly. You can also create an account on Selly and put your accounts for sale there. You’ll need to promote your Shop to get hits but everything is automated on there, making it easier for you and the buyer. Good luck buying and selling Fortnite accounts!